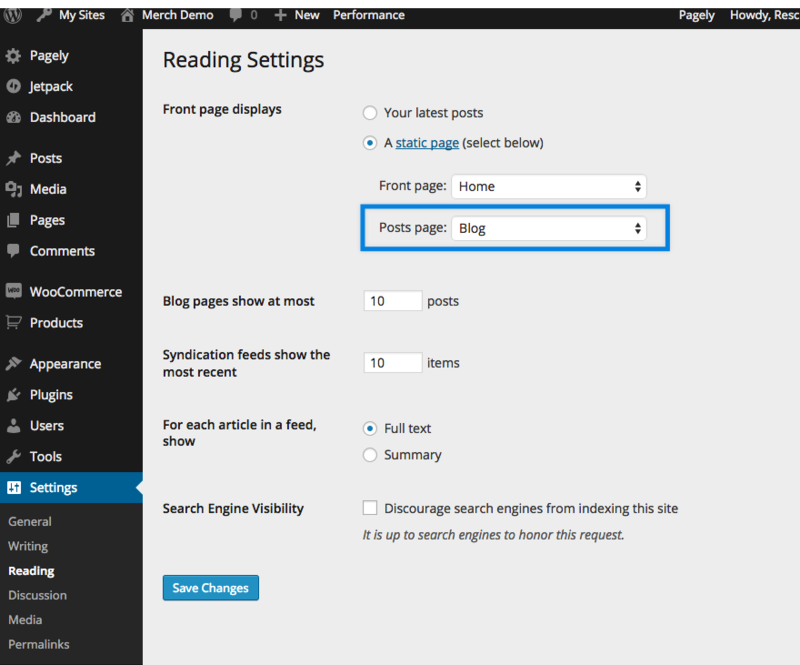 The blog page will display from the theme's index template. This means that there's no need to assign a custom template to display your blog page. Create a new page. The page can be named anything but for demonstration purposes we'll name it "Blog".